High-speed chases may be money shots in Hollywood, but everywhere else they're just dangerous. 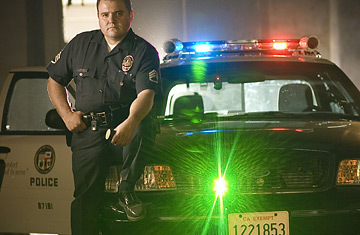 The StarChase Pursuit Management System uses a laser-guided launcher mounted on the front grill of a cop car to tag fleeing vehicles with a GPS tracking device. Then the fuzz can hang back as real-time location data are sent to police headquarters.